Priority Partners is dedicated to helping our members achieve and maintain a healthy blood pressure. Your heart pumps blood to all parts of your body. This process helps your muscles and organs work the way that they need to. Arteries are the tubes that carry your blood through your body. Your blood pushes against your arteries as it moves. The strength of this push is called blood pressure. What happens if my blood pressure is high? It is normal for blood pressure to rise and fall during the day. If your blood pressure stays high, it starts to damage your blood vessels, heart, and kidneys. Over time, this can lead to health problems like clogged arteries, heart attack, stroke, and more. High blood pressure (also called hypertension) is known as the “silent killer” because it usually doesn’t show symptoms while it is causing this damage. There are many things that can lead to high blood pressure. Some things you can control, and some you can’t. 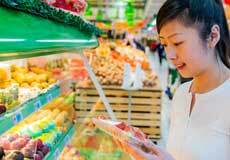 Diet: The foods that you eat can put you at risk for high blood pressure. If you eat foods that have too much sodium (salt), your blood pressure will rise. Not eating enough potassium can also increase your blood pressure. Potassium is found in foods like bananas, potatoes, beans and yogurt. Exercise: If you do not get enough physical activity, you may gain weight. Being overweight may lead to high blood pressure. Alcohol: Drinking too much alcohol can raise your blood pressure. Women should not have more than one drink a day. Men should not have more than two drinks a day. Tobacco: Smoking cigarettes can hurt your heart and blood vessels. The nicotine in cigarettes can also raise your blood pressure. 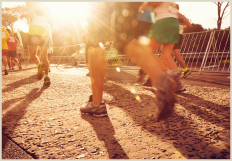 Family History: Your family can play a role in your health. If members of your family have had high blood pressure or heart disease, you may be at a higher risk. Age: Your age also plays a role. Blood pressure rises as you get older. 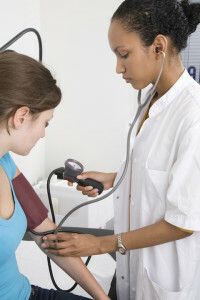 Race: African Americans are more likely to have higher blood pressure. They also develop the condition earlier in life. Having your blood pressure checked is simple, fast, and painless. You sit in a chair with your arms relaxed. A nurse or doctor will place a sleeve around your upper arm. The sleeve (called a “cuff”) has a dial that will show your blood pressure numbers. The cuff also has a pump. The nurse or doctor will squeeze the pump until the cuff feels tight. They will listen to your heartbeat and look at the numbers on the dial. They will then let the air out slowly. The nurse or doctor will then tell you your numbers. It will sound like “120 over 80”. The numbers look like this: 120/80. This is the top number in your blood pressure reading. It is the bigger number. It measures the pressure in your arteries when your heart beats. This is the bottom number in your blood pressure reading. It is the smaller number. It measures the pressure in your arteries between beats. You should get your blood pressure checked every time you see a doctor. If you have normal blood pressure, you are okay to be checked every one to two years. If you are at risk, you should be checked at least once each year, or more if your doctor thinks so. 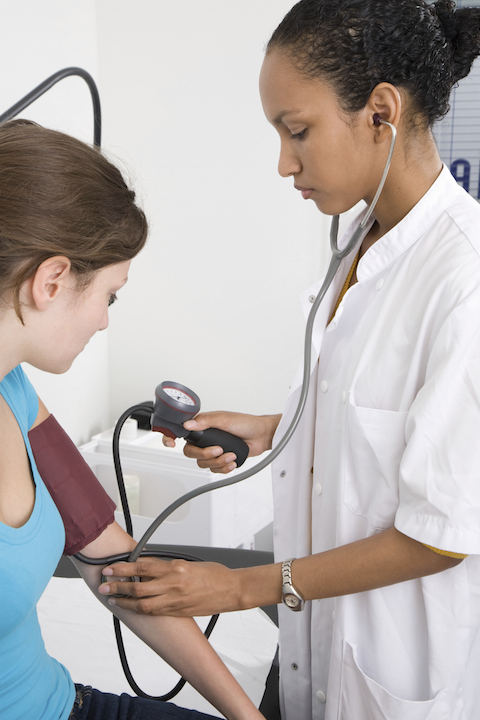 If you have high blood pressure, you may need to have the test more often. When is my blood pressure high? Warning level: Your first number is between 120 and 129 and your second number is less than 80. 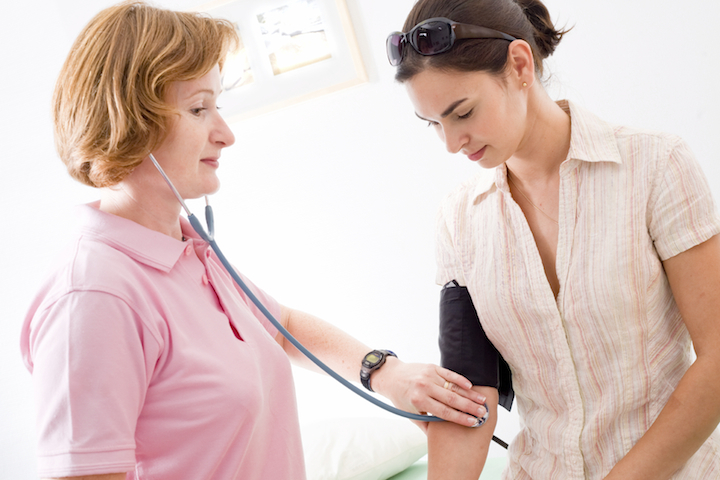 High blood pressure: Your first number is between 130-139, or your second number is higher than 80. Very high: Your first number is 160 or higher, or your second number is 100 or higher. High blood pressure can be treated and controlled. Many different types of medicines lower blood pressure. Two types—called ACE inhibitors and ARBs—also protect kidney function. Better yet, high blood pressure can be prevented. How can Priority Partners help me control my blood pressure? Priority Partners offers many classes that can help you make healthy changes to your life. These changes can help keep your blood pressure under control, as well as teach you about proper nutrition, exercise, and more. Check out our health education class schedule to find an upcoming class for your health needs!